How Far is Bharathi Brikhouse? 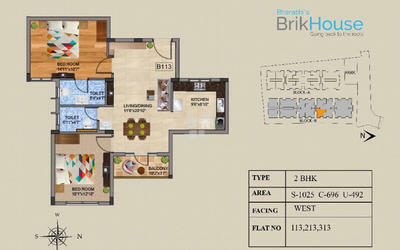 Bharathi Brikhouse one of the well planned one of the residential projects available in different types and different carpet areas. Book your dream flat in Vanagaram, Chennai. 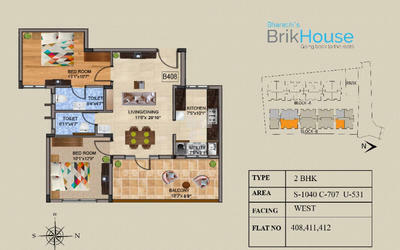 Bharathi BrikHouse offers compact 2BHK’s of 4 different Sq. Ft, 2.5BHK’s which includes a study and are available in 2 different floor plans, spacious 3BHK which are built with efficient planning and luxurious 4BHK Apartments for sale in Vanagaram, Chennai. Bharathi Brikhouse one of the CMDA approved project is also a RERA Approved project in Chennai. Offering living spaces that will soothe your mind now you enter your home. 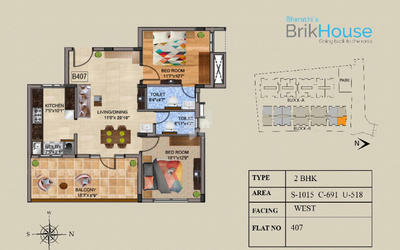 BrikHouse is a residential community conceived by Bharathi Homes as a unique concept where everything that is important to a family is close by and services are made available at an affordable price point. BrikHouse is an epitome of affordable living with 128 units spread across 2 blocks at a price point, which makes it one of the best investment avenues in the market today. BrikHouse takes you back in time to when homes gave you a sense of belonging and connected you to all that a family needs to have a peaceful and happy life. 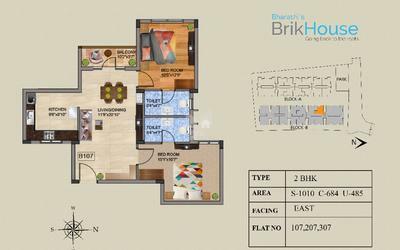 We at Bharathi Homes understand the joy, elation, nervousness and the need for feeling secure, felt by home buyers thus we have incorporated a host of features that will make owning a BrikHouse property a seamless experience. The master plan of Bharathi BrikHouse comprises of unique design that affirms a world-class lifestyle and a prestigious accommodation in Apartments in Chennai. At Bharathi Homes, we are on a mission to make the dream of owning a home into a reality for everyone by providing affordable homes in accessible location thus creating value for their investment. We understand the nervousness and the excitement of buying the first home. 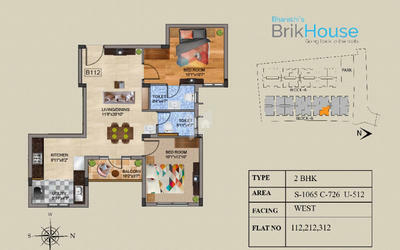 Bharathi Homes one of the renowned developers in realty field has created some prestigious projects. The builder being well known in Chennai market has been so far successful in terms of realty business. Bharathi Brikhouse one of the under-construction projects of the builder is developed with compact and luxury homes across the area which offers 2, 2.5,3 & 4BHK apartments for sale in Vanagaram, Chennai. The project is located close to many IT hubs and residential hubs in the vicinity. Bharathi Sai Krupa is another prestigious project offers ready to occupy 2 & 3BHK apartments for sale in Velachery, Chennai. Bharathi Homes is known as the most trusted brand for first-time-home-buyers thanks to our impeccable record of on-time delivery, litigation-free properties, high-quality construction and flexible payment options. Bharathi Homes was seeded in 2008 as a family business and today has grown into a Private Limited Company with over 100 happy customers. We have an innovative team of experienced people, working together to provide the best for its clients. This dynamic team holds experience close to 20 years in the construction field & consists of Chief Engineer, Site Engineers, Consultant Architects, Consultant Structural Engineers known for its timely delivery and quality adherence. We have an innovative team of experienced people, working together to provide the best for our clients. This dynamic team holds experience close to 20 years in the construction field & consists of Chief Engineer, Site Engineers, Consultant Architects, Consultant Structural Engineers. We have completed 1.5 Lakh sq. 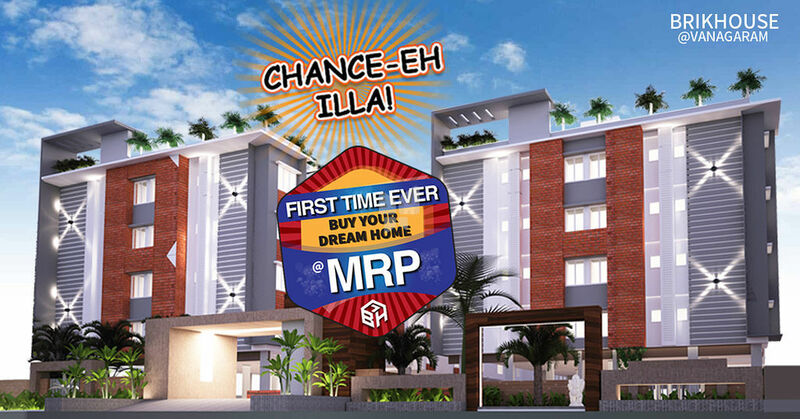 ft of development and delivered 100+ units across Chennai, Coimbatore, and Hosur. Today we have the ability and the resources to build and deliver projects of 100 houses plus in a single project and are growing in appetite to take on luxury and ultra-luxury housing projects too.